Ahoy, Mate! You can really wear items from the sea with this necklace. Sure, you could always wear them before, but never in such style. 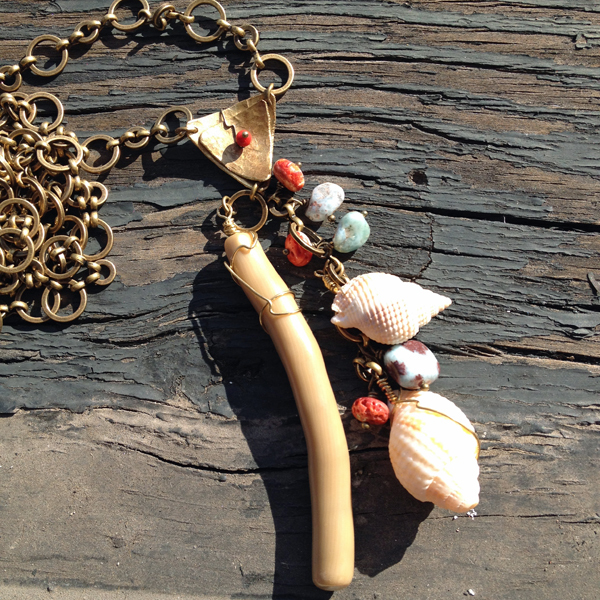 Made with coral, shells, spiny oyster, reclaimed brass, and Larimar, this necklace is 38 inches in length.